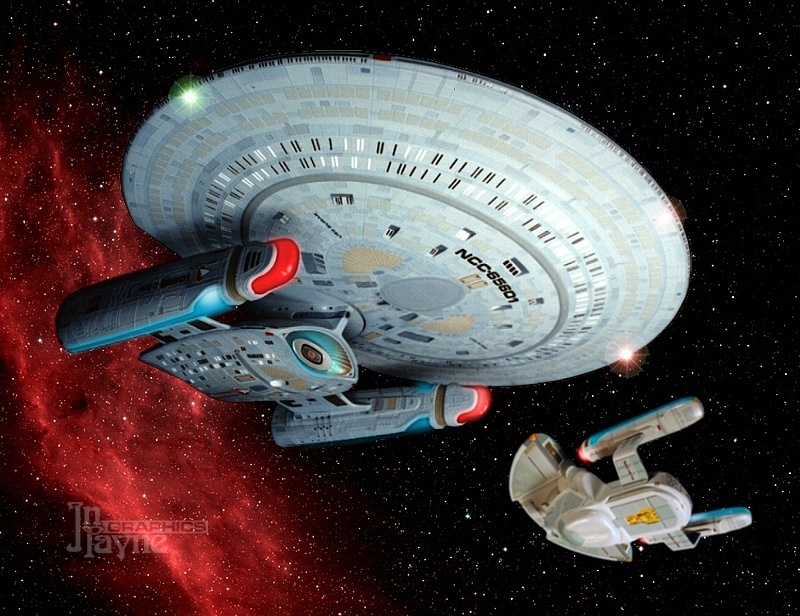 Designed as a patrol cruiser, SURAK is more compact than its big sisters, the Galaxy class explorers. With a slightly smaller secondary hull housing more hangar area, and fewer crew allowing more cargo space, this class' primary task is patrolling the Federation's borders and resupplying outposts. Pressed into service during the Maquis crisis, a ship named after a great peacemaker accounted for herself well in battle. 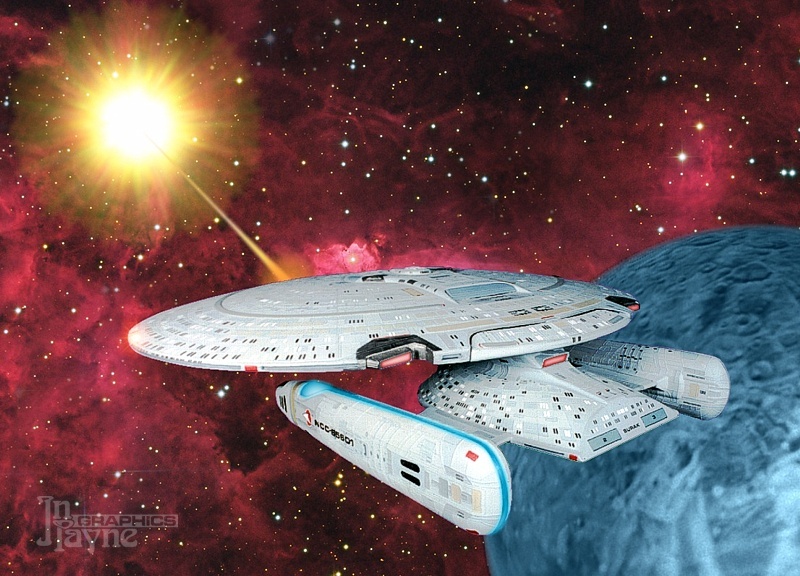 Time Period: Late Star Trek: The Next Generation. 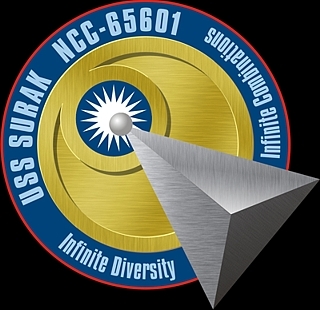 Surak's unusual vertically-opposed warp nacelle design stands out from most other Starfleet vessels. It functions as well as a standard design, but allows a straight plasma conduit run from the matter/antimatter reactor to the warp coil energizer manifolds. The increase in efficiency is minimal, but measurable. Here Surak is seen in resupplying from the freighter USS Edmund Fitzgerald. 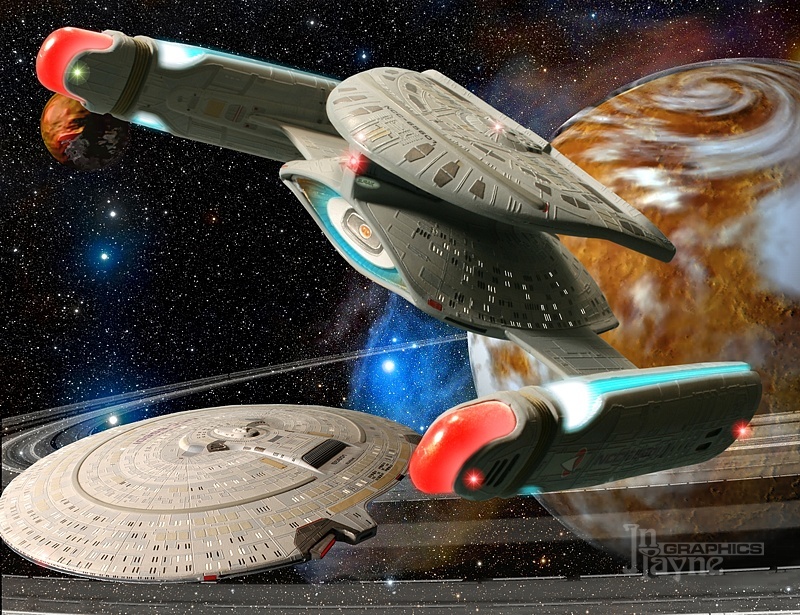 Using the same routine saucer-seperability technique as the Galaxy class, Surak leaves her primary hull safely hidden in a ring system while her Sphinx-like battle section speeds off to punctuate a point with an intruding Kzinti war cruiser.